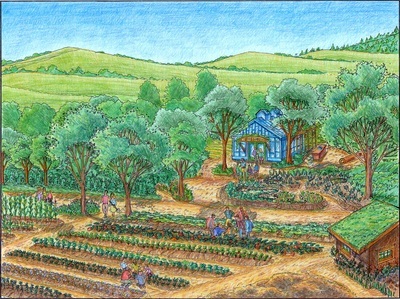 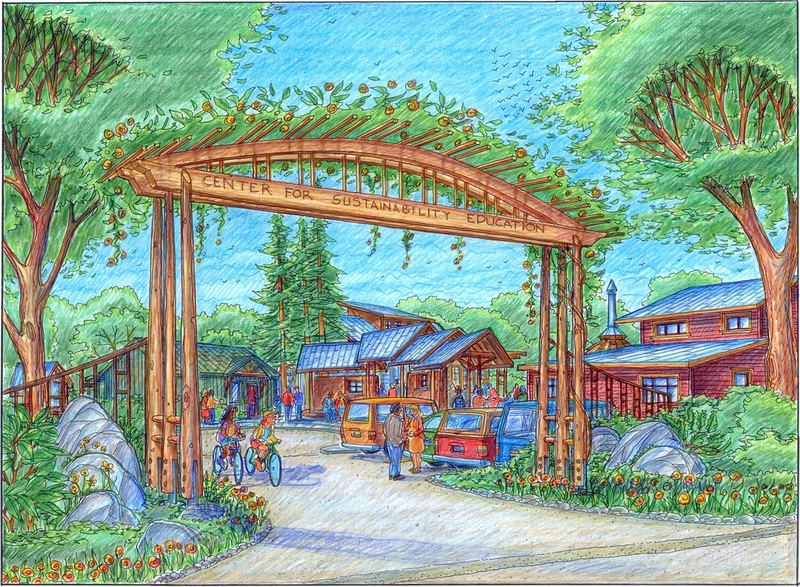 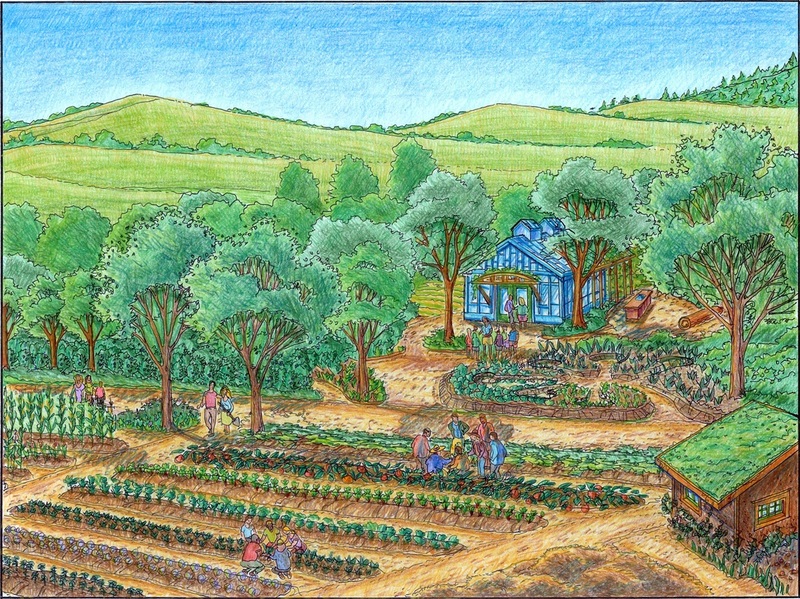 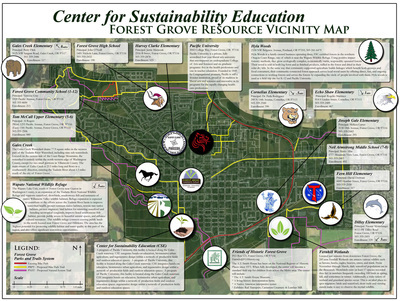 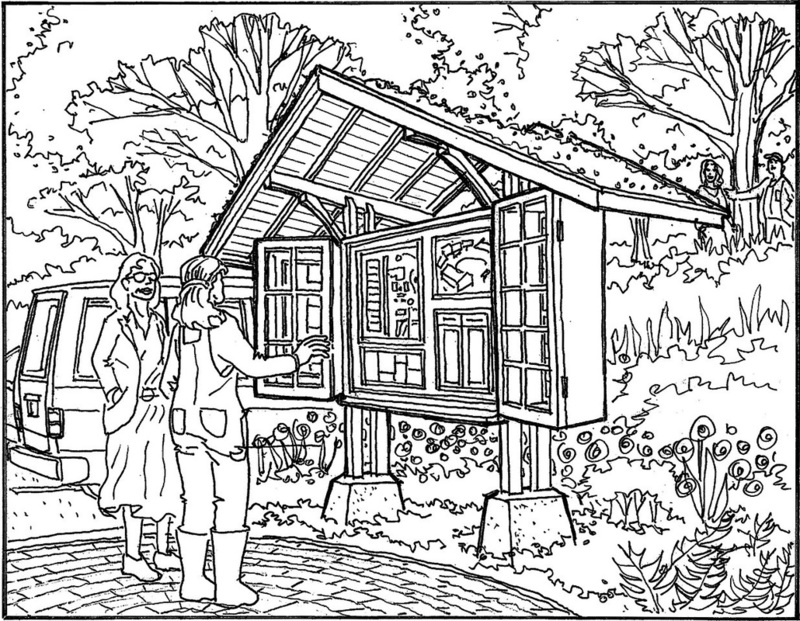 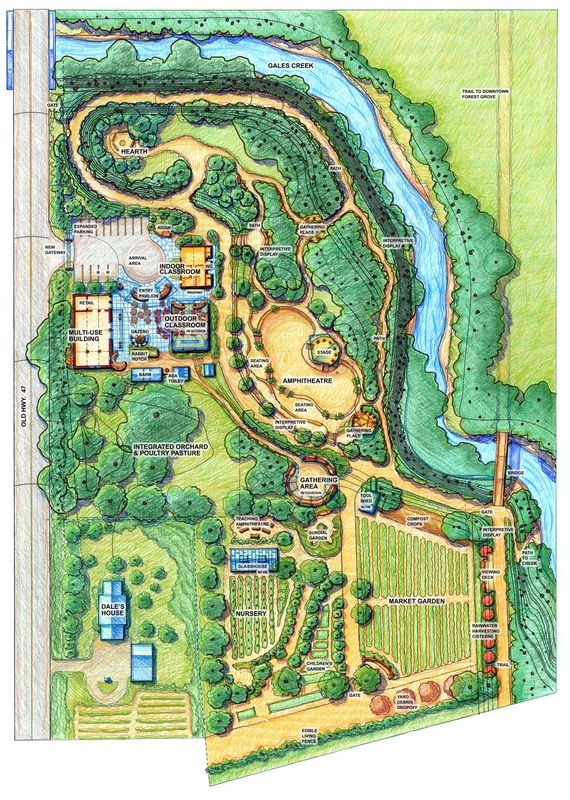 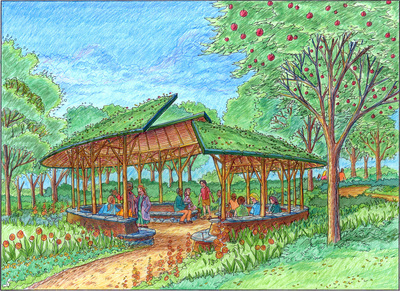 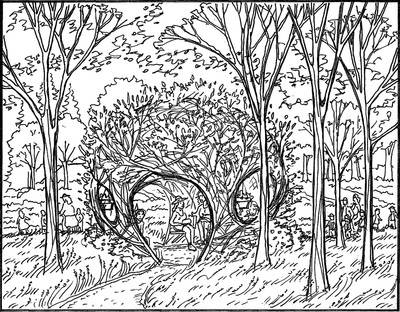 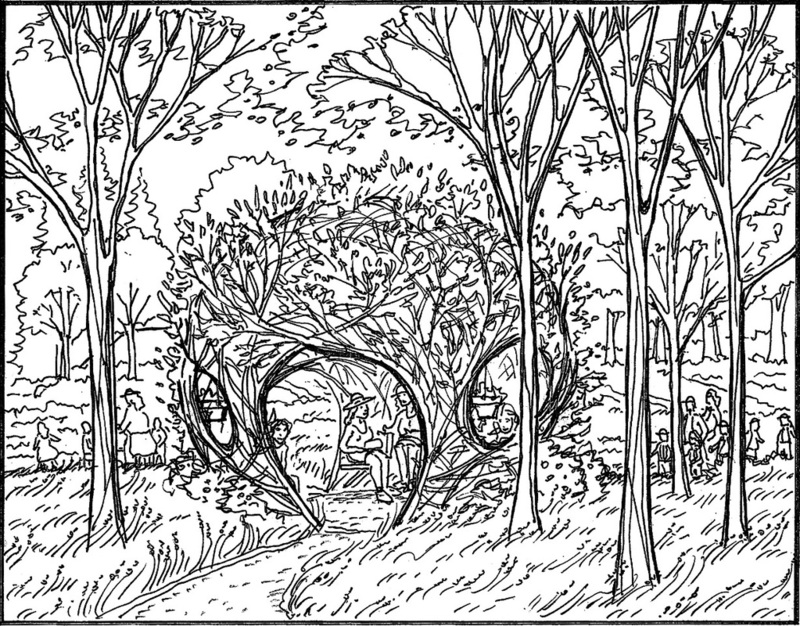 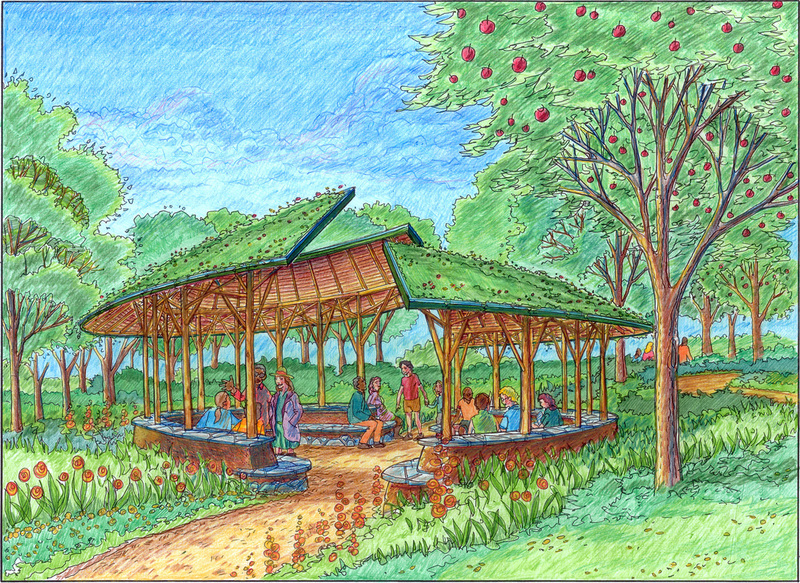 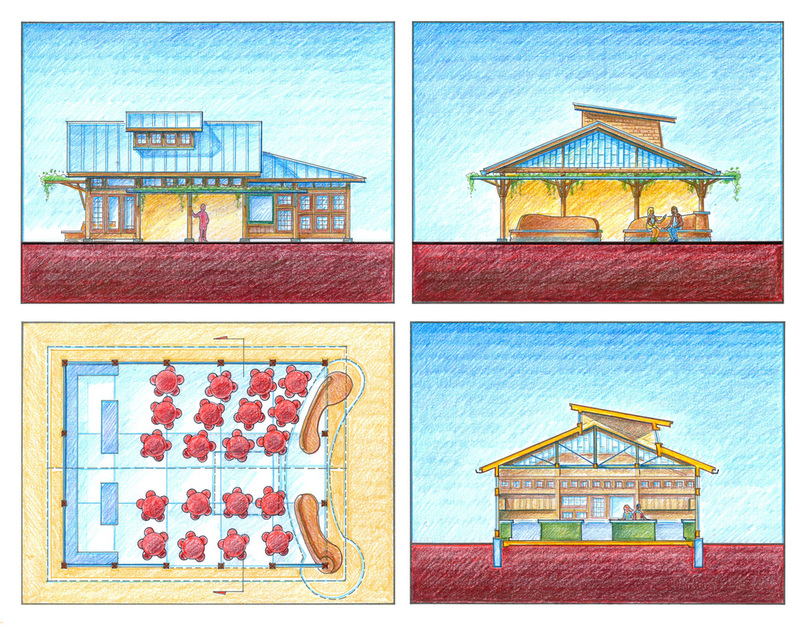 This master plan for a new three-acre outdoor teaching campus provides for the development of one of the nation’s first permaculture-based regenerative teaching environments in a university setting. Linked from Pacific University by a new bridge to Forest Grove’s evolving bike-pedestrian pathway network, this site will be a prime nature and food-system education destination for the town as well as the larger region. 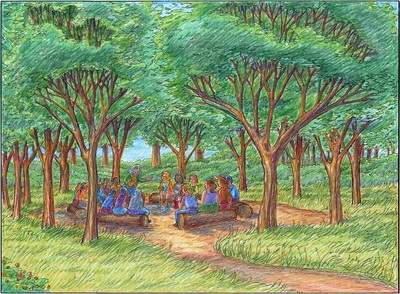 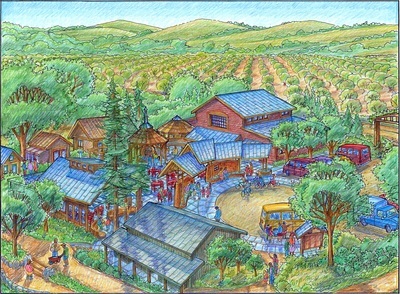 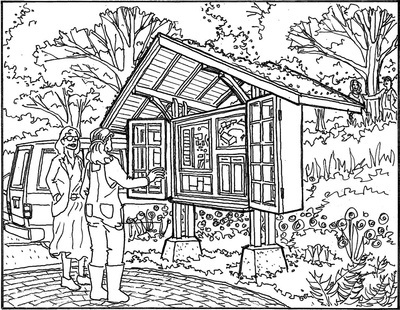 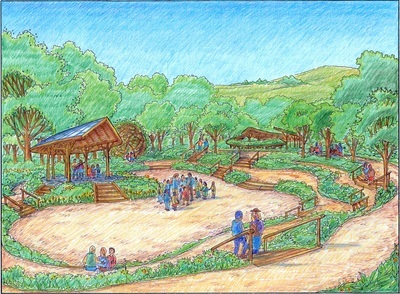 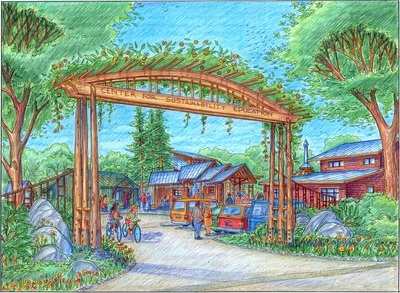 The master plan includes: a village center with gathering amenities and covered pavilions; an outdoor kitchen with a dining area; numerous flexible indoor and outdoor classroom facilities including technology-oriented spaces; sales and administrative spaces; a large outdoor amphitheater designed to slow and catch water in perimeter swales; interpretive trails and displays; restoration and ethnobotanical teaching areas along riparian edges; numerous informal teaching classrooms woven out of living materials that provide shelter and shade; an on-site Latina Cooperativa that will manage market gardens; children’s demonstration gardens; a greenhouse; facilities for small animal husbandry; and numerous perennial edible food guild systems that will line the path network. 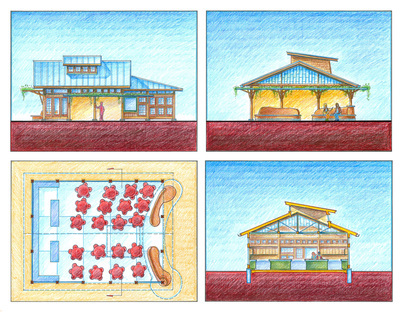 The buildings incorporate linked on-site water catchment and treatment strategies. 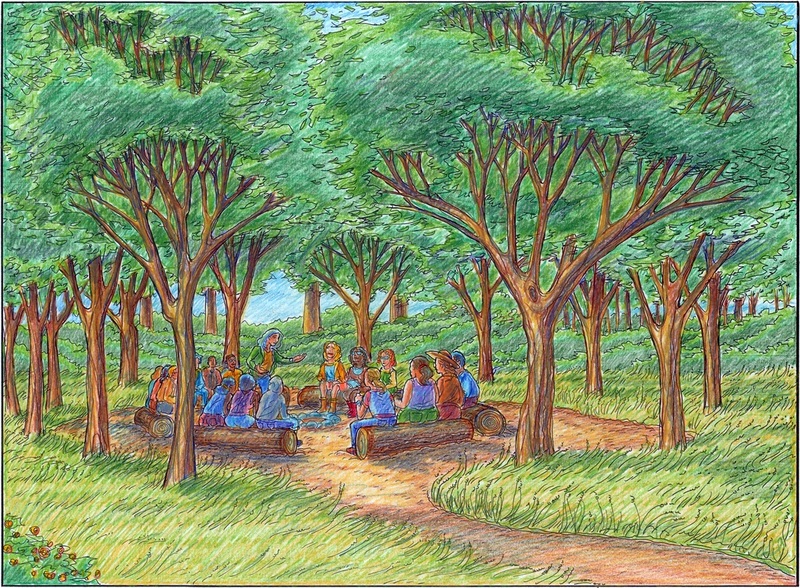 This project development is well underway, including a phased strategy for the design, funding, and construction of each piece of the program, and each phase will include as much community participation as possible.